By a vote of 5,112 to 3,389 the voters of Reading approved the $4.15 million override question in the April 3 local election. 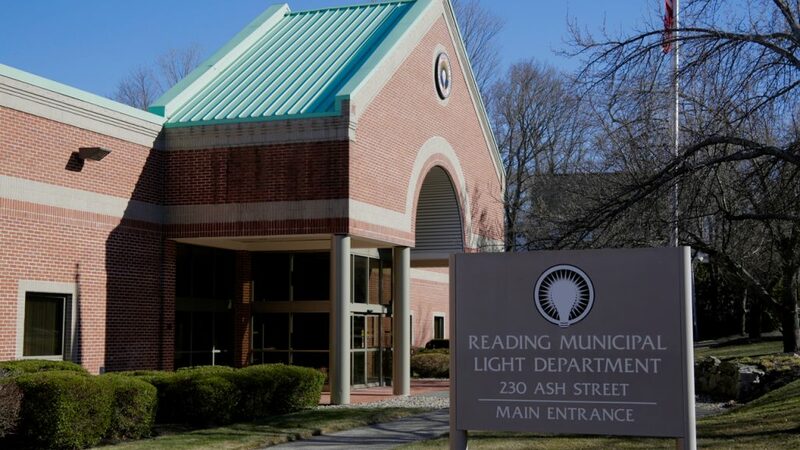 As a result, the average assessed house in Reading will have a tax increase in Fiscal Year 2019 of $500 in addition to the annual two and a half percent increase. The additional funding will be used to restore teaching positions in the schools, four new police officers, four new firefighters, and other administrative needs. With support from all members of the Board of Selectmen and the School Committee, the advocacy group, Yes for Reading, mounted a coordinated and ultimately effective campaign with rallies, door-to-door solicitation, an active social media effort, phone calls, and letters to the editor that helped garner the result. 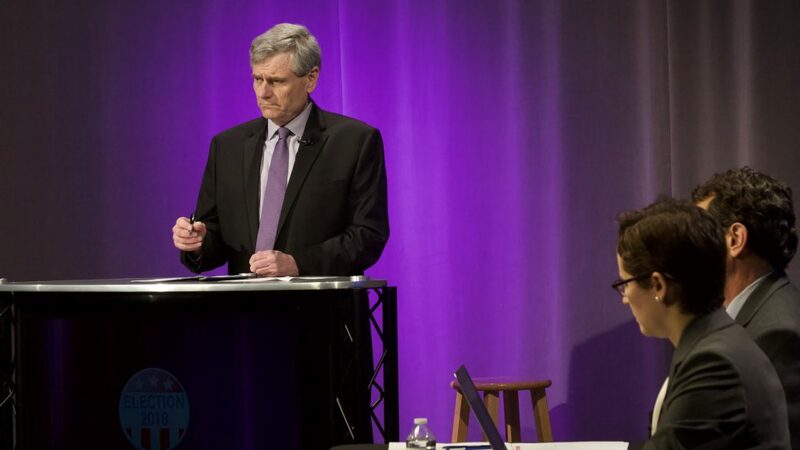 “It was important that all the candidates running supported the override,” stated Tom Grant, speaking on RCTV for Yes for Reading. We are both deeply appreciative to the voters of Reading for your overwhelming support yesterday at the polls for the Ballot Question. Because of your support, we will be able to restore or add much-needed positions in our schools, public safety, and other town departments. These positions will allow us to continue to provide a strong educational foundation for our students and the level of services necessary for our community. 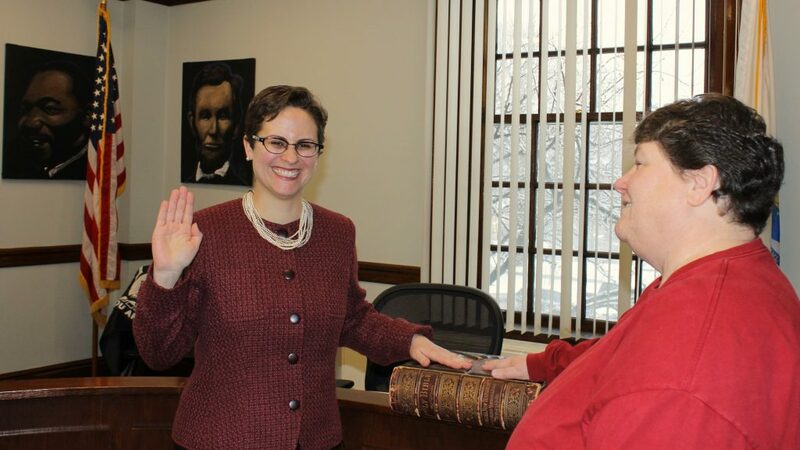 With 3,943 votes, Finance Committee Member Vanessa Alvarado was elected to the Board of Selectmen over incumbent and current board chair John Arena. Arena received 3,857 votes. Only eighty-six votes separated the two candidates. 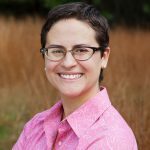 Alvarado is an eight-year Reading resident who grew up in Cambridge, has a degree in government, and has spent four years on Reading’s Finance Committee. Alan Foulds was elected to a twenty-second year as Town Moderator with 5,584 votes. Alice Collins of Mineral Street and Andrew Grimes of Oak Street were re-elected to the three-year terms on the Library Board of Trustees with 5,167 votes and 4,813 votes, respectively. Monette Verrier of Kurchian Lane won election to the two-year seat on the Library Board of Trustees with 5,289 votes. Thank you to everyone for your incredible levels of support over the past several months and Tuesday especially. My family and I have been so humbled by all that you have done for us and for our community. Thank you to all 8,545 Reading residents who participated in Tuesday’s election and to the 3,857 voters who cast a ballot for me. I wish I had been able to reach more of the 745 voters who did not vote for either Selectman candidate. In the end, government is determined by those who show up and vote. 43.7% voter turnout is unprecedented in Reading town election history. Keep watching and staying engaged Reading, it matters! As someone who continues to love Reading, win or lose, I would like to reinforce one fact that was made clear during the campaign. External resources (dollars and people) influenced these results. If we wish to stay a small town with truly local elections, we, as residents, need to be savvy to this development in our town’s election processes and encourage campaigns that do not rely on national agendas and resources. I also want to acknowledge the herculean efforts of Yes for Reading in turning a 60/40 loss in 2016 into a 60/40 win in 2018. I did everything I could to get this override amount down to a figure that could pass. Take a deep breath, the election is over. The lawn signs are gone. In all, 8,555 residents voted. I’m thrilled the override won. I am also honored to follow the women and men who have served on the Board of Selectmen.I would like to thank all of my wonderful supporters who made it possible. This campaign was never about me. It was about all of you and doing right by Reading. I’m humbled by your faith and trust in me and I will work hard to engender the same faith and trust in those who voted for Mr. Arena. For five months, my platform focused on economic development, local taxes, addressing the lack of transparency, the importance of volunteers, and working together for the benefit of Reading. Regarding concerns of national “influences”… those supporting me and organizing to help my campaign were all Reading residents (full disclosure: my mother, who lives out of town, held a sign with me on election day). Donations came from Reading residents; with a few coming from college friends, my in-laws and my mother. As the newest member of the Board, I represent all Reading residents… regardless of political identification. Here is what I would ask of you: Talk to me. I will always value your input. Like many of you, I have children, a spouse, a mortgage and a job. These are great experiences that inform my view of local issues. I respect the investment in time and money that we all made when we chose Reading as our home. I am here to make sure that decision is validated with the best possible local government. Nothing more. I am very excited to continue this work with you. 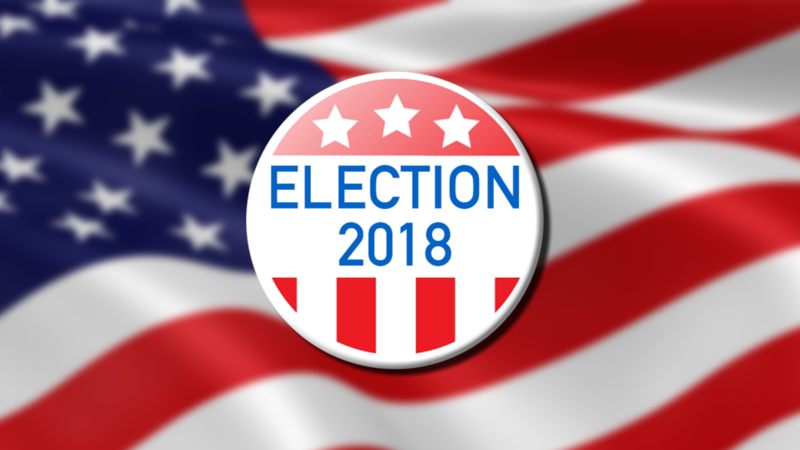 Incumbent Elaine Webb with 3,703 votes and School Committee member Sherri VandenAkker with 3,109 votes won election to the School Committee over challengers Rebecca Liberman and Alicia Williams in the local election held on April 3. Liberman received 2,549 votes and Williams had 2,929 votes in their unsuccessful efforts. Webb was raised in Reading and is a graduate of Reading Memorial High School. She has served on the School Committee for eleven years, Town Meeting for sixteen years, and on the board of the Reading Coalition Against Substance Abuse for nine years. She is a former budget parent and PTO president for Killam Elementary School. Per the eight-day financial reports from candidates, as of March 16, a total of $18,949.31 had been spent on the local campaigns for Board of Selectmen, School Committee, and by the Yes for Reading ballot question advocacy group. This total includes expenditures made by the campaigns in 2017. The amount of expenditures reported exceeds the $16,199.57 reported on the Eight-Day reports in the 2017 local election, likely due to the inclusion of a Proposition 2 ½ override ballot question in this year’s election. The reports were due to the town clerk’s office by March 26, or eight days prior to the election. These reports require candidates and committees to report on campaign contributions and expenditures from the beginning of the year through March 16, or ten days prior to the report. The Campaign for Vanessa Alvarado spent the most for an individual candidate, reporting spending of $5,403.34 through March 16 in her winning effort. Incumbent John Arena’s campaign spent $4,112.46 in the same time period. A total of $9,515.80 was spent by the two campaigns as of the disclosure deadline. For both candidates, most of the spending was for lawn signs and other printed materials. In the 2017 Selectmen’s race there were three candidates who spent a total of $12,233.63 through the mid-March report in that election cycle for an average of $4,077.87 per candidate. 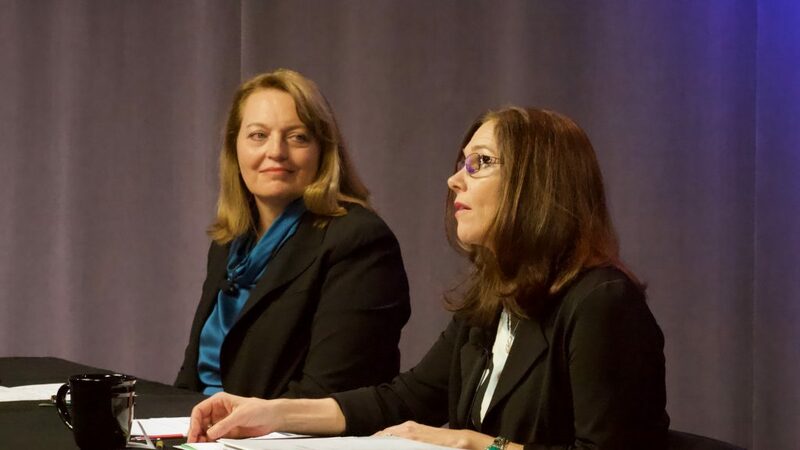 In the race for School Committee, Sherri VandenAkker’s campaign spent $1,551.79 by the March 16 reporting date, followed by $612.40 by the Rebecca Liberman campaign, $568.15 for the Alicia Williams campaign and $191.22 for the campaign of Elaine Webb. The total spent on the election for School Committee as of March 16 was $2,923.56. In the 2017 local election there also were four candidates for School Committee who spent $3,965.94. Yes For Reading reported $6,509.95 in expenditures as of March 16 in the campaign for the approval of the override ballot question. Signs, postcards, and buttons were the primary items for which campaign dollars were spent by the group. This amount is comparable to the $6,424.70 in expenditures reported on the Eight-Day report by Yes For Reading for the failed 2016 override question. The next report on contributions and expenditures for the campaigns will be due on May 3, or thirty days after the election. These reports should contain how much was spent in total for the campaigns this year. Each campaign must also file an end-of-year report as well. 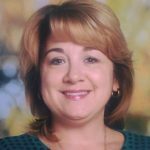 On Wednesday, March 28, the Reading School Committee approved by unanimous vote, Superintendent John Doherty’s recommendation to appoint Christine Kelley as the next Assistant Superintendent for Learning and Teaching for the Reading Public Schools. Chris is currently the Assistant Superintendent for the Pentucket Regional School District and will transition from Pentucket to the Reading Public Schools this summer. 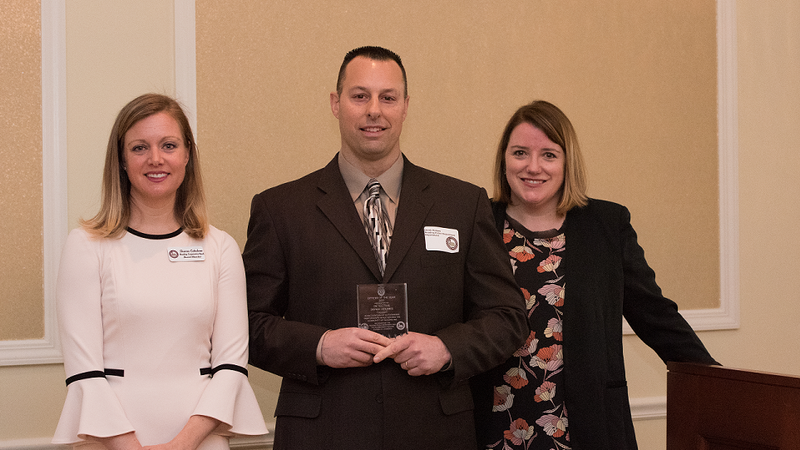 Chief Mark D. Segalla is pleased to announce that Reading Police Detective Derek Holmes was named the 2017 Officer of the Year by the Reading-North Reading Chamber of Commerce. Detective Holmes was nominated by multiple Reading Police officers and members of the command staff and was honored during the Chamber’s annual meeting on Saturday, March 28, at Teresa’s Prime in North Reading. 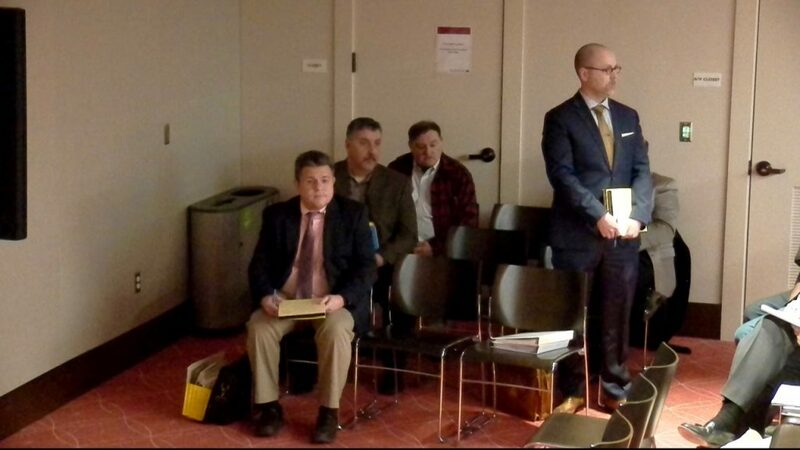 The March 29 Zoning Board of Appeals (ZBA) meeting was dominated by a presentation from the Eaton Street/Lakeview Avenue neighborhood regarding the proposal by Eaton/Lakeview, LLC for a 120-unit 40B development at the corner of the two streets. Boriana Milenova and Mike Flynn made the presentation, representing the over 150 residents in the neighborhood. 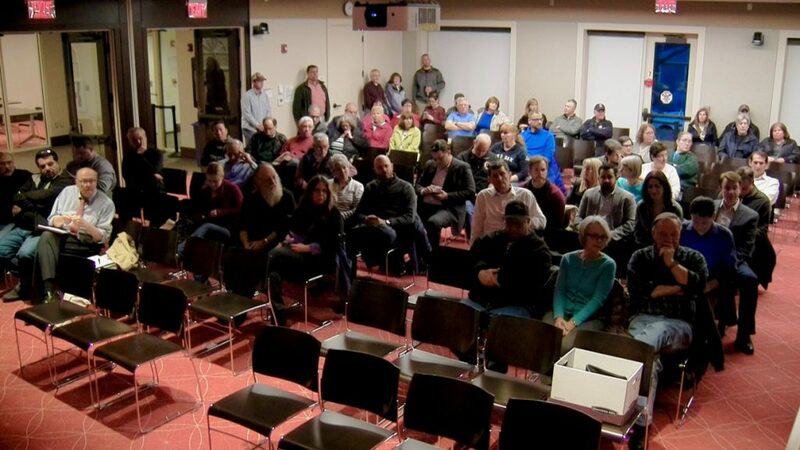 The presentation, similar to the presentation made at the February 27 meeting of the Board of Selectmen, had a few added remarks in response to the presentation by the developer at the March 7 meeting of the ZBA. The Reading Community Singers will be presenting their annual Spring concert, at 7:30 pm on Saturday, May 5, 2018 at the Walter S. Parker Middle School, 45 Temple Street, Reading MA. The theme for this performance comes from the title of the centerpiece song; What The World Needs Now Is Love. Join the Singers as we feature inspirational music with a message, from The Beatles’ anthem ‘All You Need Is Love’ to the comedy shenanigans of P.D.Q. Bach’s ‘It Was A Lover and His Lass.’ Other titles include pop music’s ‘Love Will Keep Us Together’ and stunning classical piece ‘Sure On This Shining Night.’ The exciting medley from Andrew Lloyd Webber’s ‘Phantom of the Opera’ provides the drama and there will also be a performance by this year’s RCS scholarship winner, a talented Senior from North Andover High School, Emily Cummings. Tickets cost $20 for adults, $15 for students and seniors and can be purchased online at: readingcommunitysingers.org or by contacting Kathleen at 781-249-3444. Please join the Board of Reading Education Foundation for its Spring Gala event, the Imagination Celebration on Saturday, April 28th at 7:30pm. A fantastic cocktail party, this fundraiser offers an opportunity each year for the Reading community and school staff to join REF board members to celebrate what can be accomplished for our students when working together. This year, the gala will be held in the Lee Kimball showroom located in the newly-renovated, historical, M.F. Charles building in Reading. The event promises to be a relaxed evening of conversation, with an open wine and beer bar and delicious appetizers and desserts. All proceeds from this annual event go towards teacher grants in Reading schools. In conjunction with the Gala, REF is holding an online auction hosted by Bidding For Good, which runs from April 23rd to May 7th. Bargain hunters and REF supporters can register for the online auction at biddingforgood.com/readingef to start bidding on April 23rd! Reading Municipal Light Department (RMLD) has received a certificate of excellence in reliability from the American Public Power Association (www.PublicPower.org), a trade organization that represents more than 2,000 not-for-profit, community-owned electric utilities across the country. The Association helps members track outage and restoration data through its subscription-based eReliability Tracker service and then compares the data to national statistics tracked by the U.S. Energy Information Administration (EIA) for all types of electric utilities. Utilities that place in the top quartile of reliability nationwide, as measured against the EIA’s data on System Average Interruption Duration Index, or SAIDI, receive the certificate of excellence. The EIA information comes from the agency’s annual surveys of electric power utilities. 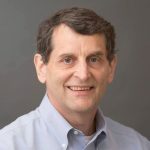 “This recognition helps demonstrate public power’s commitment to reliable electric service,” said the Association’s Senior Vice President of Engineering Services, Michael Hyland. Nationwide, the average public power customer has their lights out for less than half the time, compared to other types of utilities. Over the past several years, RMLD strategically shifted from reactive to proactive. The development of short- and long-term system modeling and plans were created to ensure continued reliability and have been integrated into the overall financial and budgeting processes; they are proving to be successful.